Natural, biodegradable and safe for the environment, Ecoleaf Laundry Liquid is derived from plant extracts and is based on biodegradable, sustainably sourced ingredients. Vegan friendly and brought to you in recyclable bottles, Ecoleaf Laundry Liquid is guaranteed non-toxic, cleaning your laundry whilst helping you keep the planet clean too. Directions for use: Pour a capful of liquid into your washing machine. 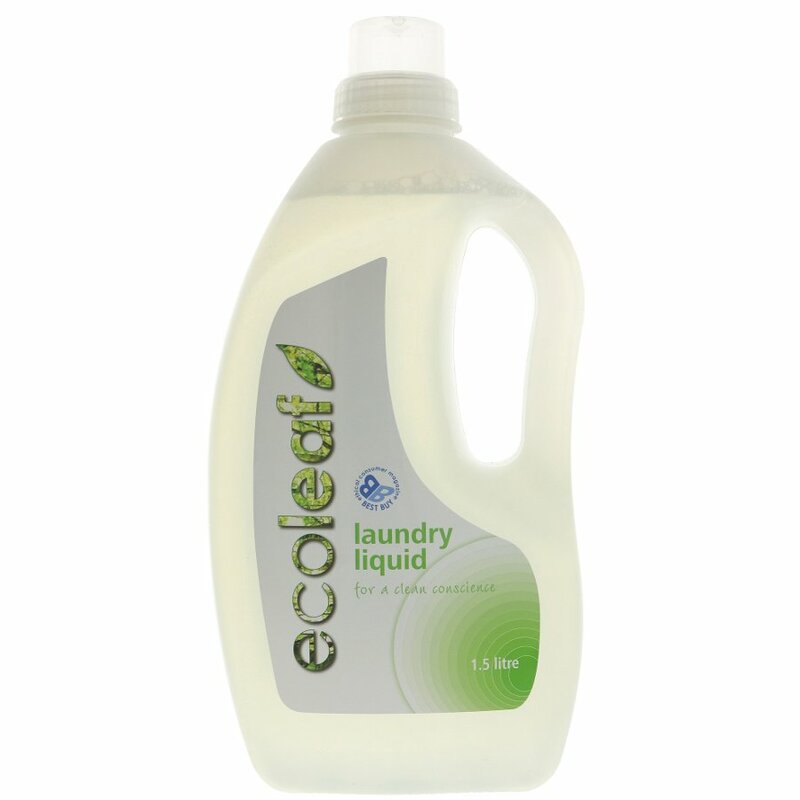 Save money and resources by buying in bulk: buy Ecoleaf Laundry Liquid in a 5 Litre or 20 Litre bottle. Water >30, Plant derived anionic surfactants 5-155, Plant derived nonionic surfactants 5-15%, Soaps <5%; contains natural fragrance and preservative. 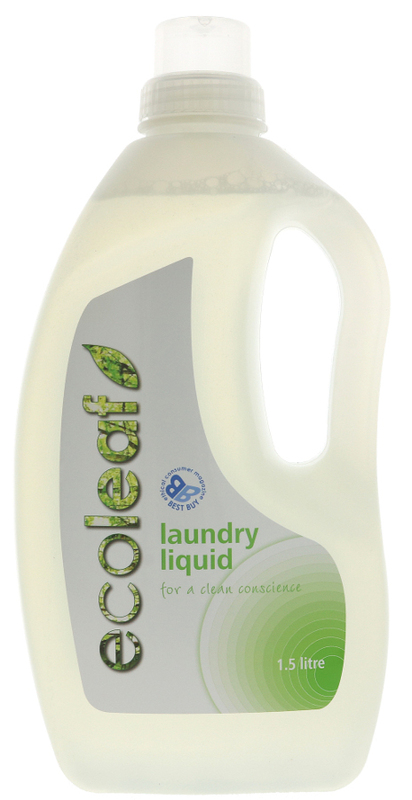 There are currently no questions to display about Ecoleaf Non-Bio Laundry Liquid - 1.5L - 37 Washes.